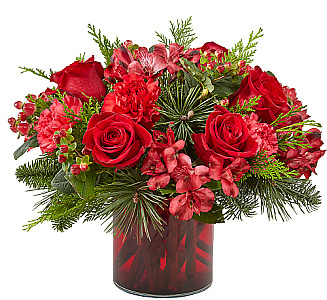 Send Flowers same day across Canada with Canada Flowers, Canada's National Florist. Here you can choose from our best selling and most popular Christmas Flower Arrangements, featuring beautiful arrangements for the Christmas holiday season. 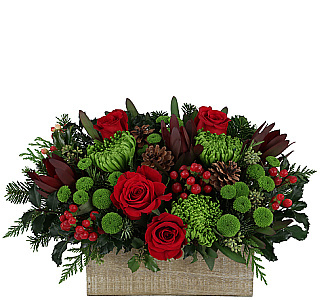 We've reviewed our most popular Christmas arrangements and listed them all here for quick and easy online ordering. Merry Christmas from all the staff at Canada Flowers. Enjoy your holiday shopping! Prices below are in Canadian dollars. A selection of flower arrangements available for flower delivery across Canada. 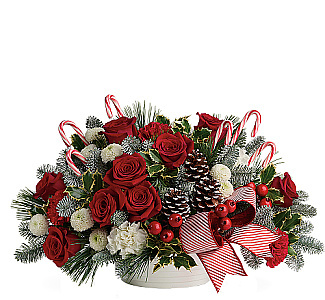 Shop Christmas Flower Arrangements, Teleflora Christmas Arrangements, FTD® Christmas Arrangements .